Please excuse the lateness of this post. If you read my post abount taking a sabbatical from blogging, you’ll understand. Halloween was downright crazy this year! From doing a Halloween themed half marathon to being allowed to dress in costume at work, Halloween rocked! Here is a recap of my costumes this year! 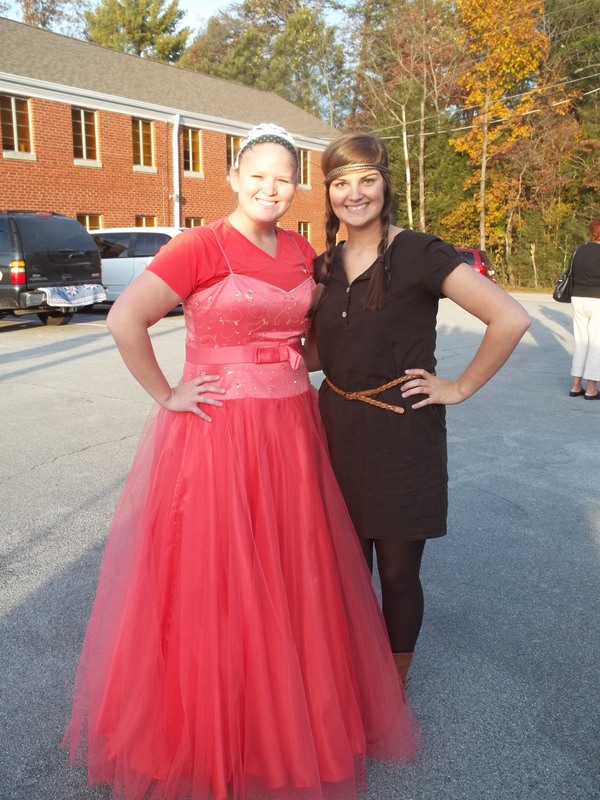 To get a head start on the festivities, we had a Disney character night at church the week before Halloween. I became Princess Kelsey. What? She isn’t your favorite Disney princess?? AL was Pocahontas. Halloween weekend was the last day of the season at our campground, so our bosses let us dress up for three days. 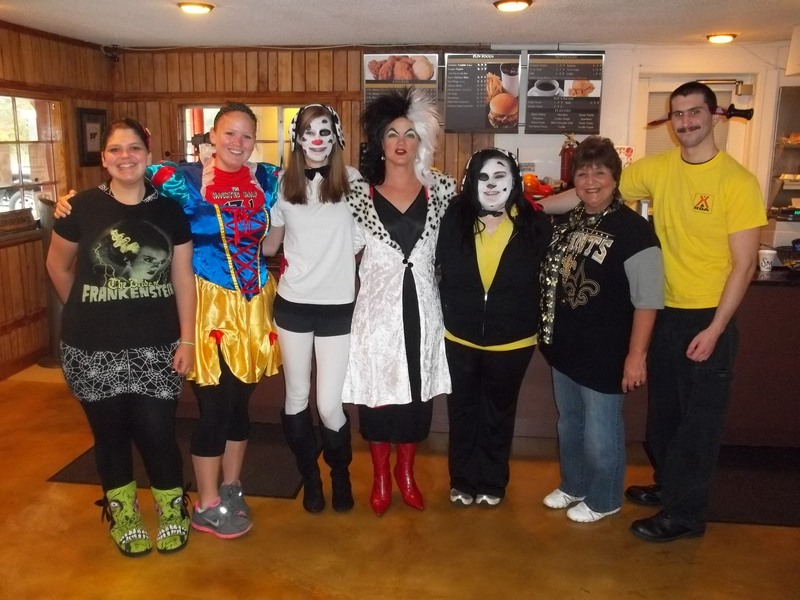 Our main boss was even Cruella Deville and some coworkers dressed up as dalmations. I recycled the sweaty Snow White costume for this day! 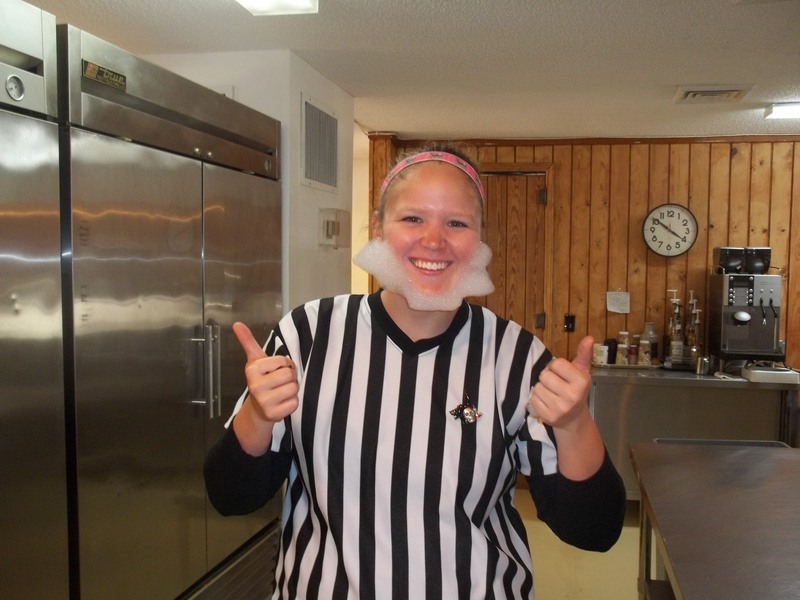 The second day of Halloween at the campground was Abe Lincoln/Referee costume day! Thumbs up for dress up! The night of the half marathon, I attended a Halloween costume party. After a quick shower to wash off all my sweat, I suited up as border patrol. Hot mama!